How I spent my summer vacation or “How I nearly killed myself making a giant upside-down cardboard head in the name of art”. 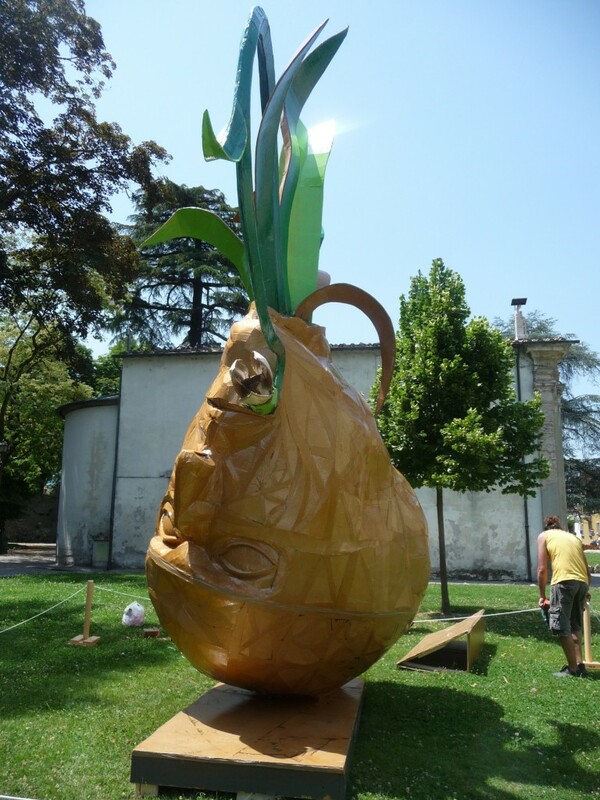 Cartasia is a biennial cardboard and paper art competition, resedency and month long exhibition held in the medieval walled city of Lucca, Italy. Lucca is just a few miles north east of Pisa in the rolling Tuscan countryside. This story starts in August of 2011 I submitted one of my cardboard sculptures, Chimera to a website called Recyclart.org (http://www.recyclart.org/2011/08/chimera-cardboard-sculpture/), and it published shortly there-after. 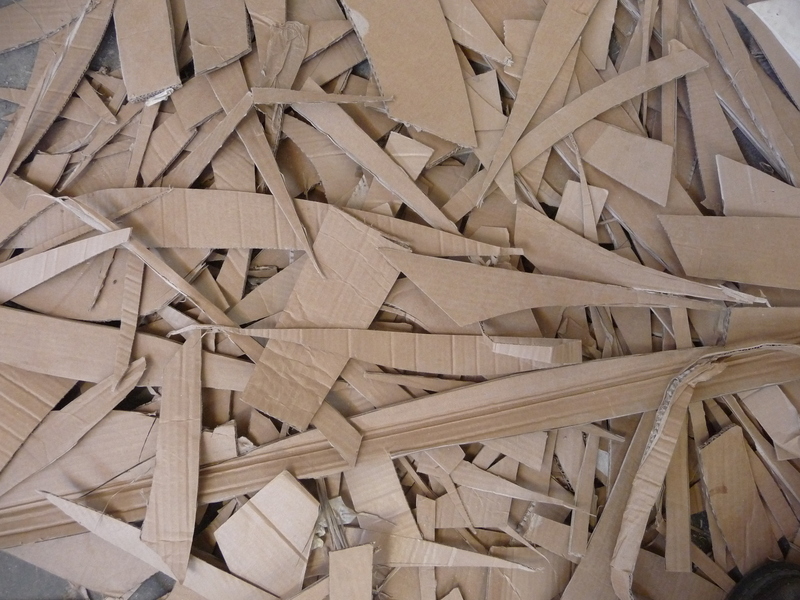 I received emails from several other artists who were also working in cardboard. 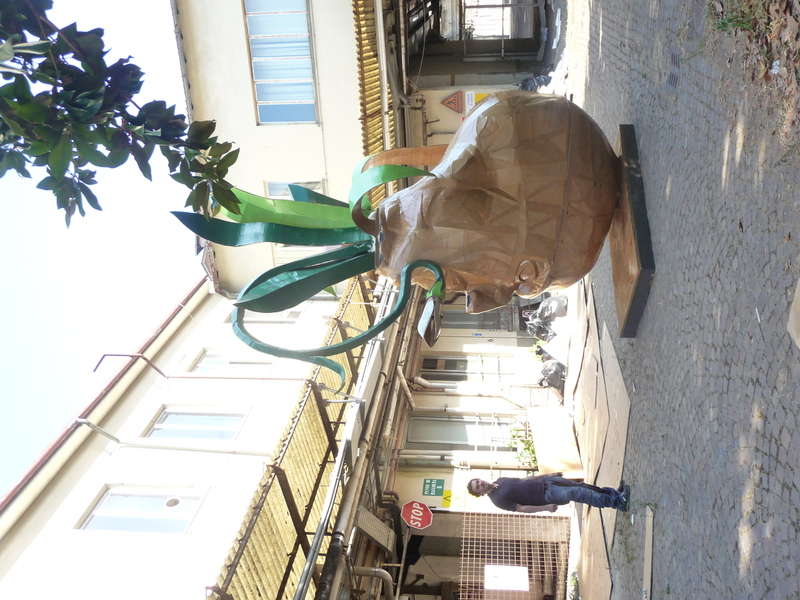 One of them, Alessandra Fiordaliso, had also been featured on Recyclart (here and here). She told me about Cartasia and suggested I submit a proposal. I investigated http://cartasia.it and thought it was pretty exciting. Model of my proposed sculpture. I submitted a conceptual proposal and out of 148 submissions 28 were chosen to submit a feasibility study outlining a budget, timeline and various aspects of what it would really take to build the proposed sculpture. From this group 6 contestants were chosen and though it seemed unimaginable to me, I was one of them. I'm a working artist. I don't make much money and I live hand to mouth for the most part. The Idea of taking a month away from the work that keeps me fed and mortgage paid wasn't looking too promising. Cartasia would cover my travel, lodging and materials but food was up to me. The artists competing weren't paid. It's rare in life that an opportunity like this avails itself and I wasn't going to let it slide away. I turned to my local community with two fundraisers. I held a raffle for one of my paintings, and held a cardboard art exhibition and dance party called the Cardboard Ball. The raffle was a huge success and I raised the money I needed within two days. I was really deeply touched by the outpouring of love and support from my community. CARDBOARD BALL Mykl Wells from Jeff Smith on Vimeo. 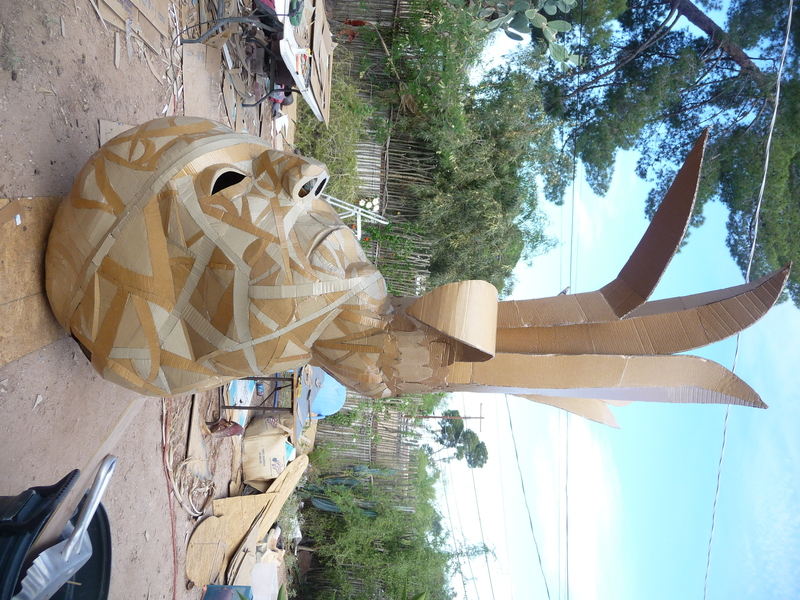 During this time I also built a half scale version of the sculpture. To help galvanize support for the project and also to better understand what I was up against. This proved to be a very good idea. At the beginning of June I left my home in Tucson Arizona and Flew to Tuscany where I got to work immediately building the most ambitious cardboard sculpture of my life, Snowdrop. Cartasia has a theme and this year it was Crisis and Rebirth. I chose to base my sculpture on the snowdrop, galanthus nivalis, a perennial bulb which cannot bloom until it has experienced the stress of the winter. 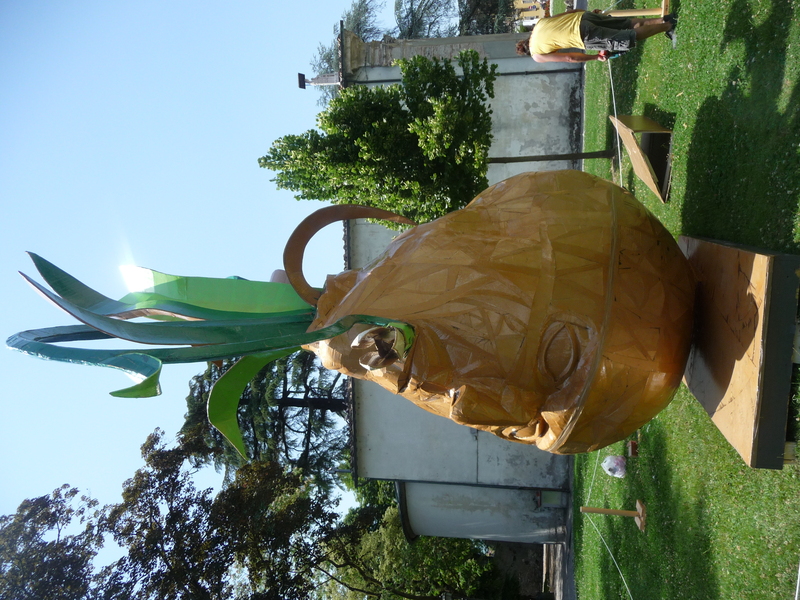 The sculpture was also anthropomorphized by representing the bulb as an inverted head. It’s point of view was literally a world turned upside-down. 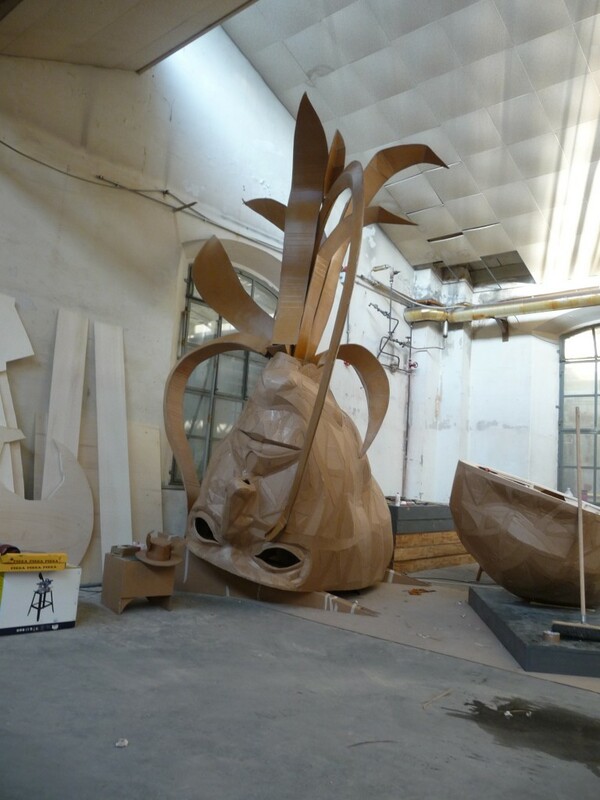 The sculpture was built in stages and was designed to break down in to smaller components which could be moved through gates and loaded on a truck. 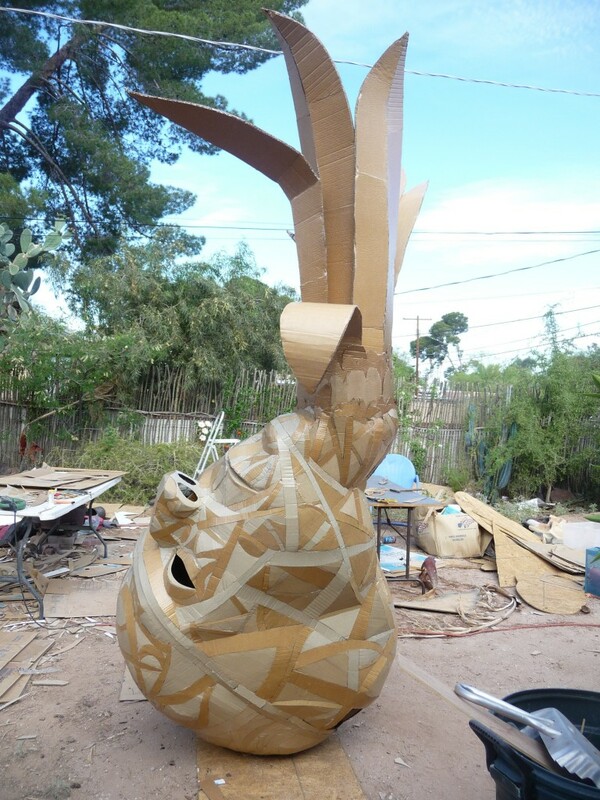 The first task was to build an internal frame and base These were made with plywood since the sculpture would be displayed outdoors and it needed to be able to survive the elements and the public. 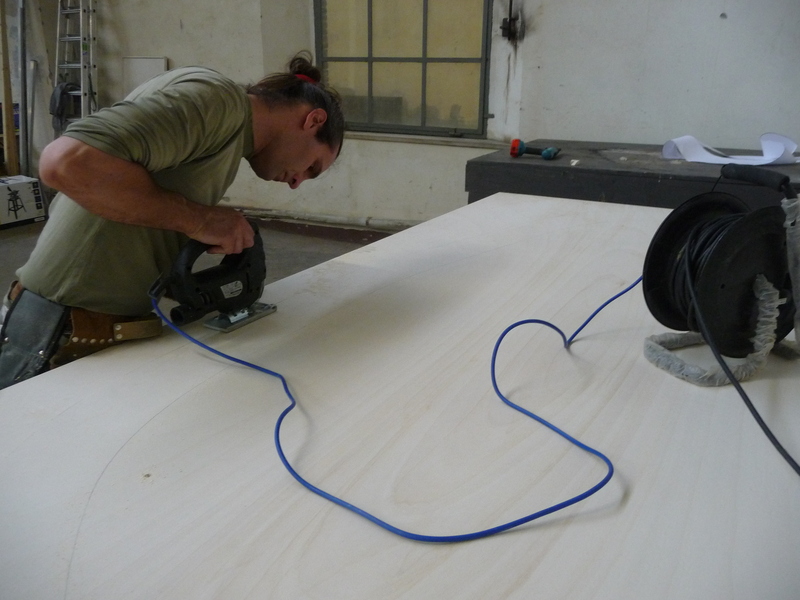 Daniele Corsetti -Assistant and all around good guy. The second task was to create the cardboard skin over this light frame. This is a very organic and meditative process. Sculpting organic forms out of cardboard is challenging but the results are impressive. This was a monumental task. Surface area cubes. 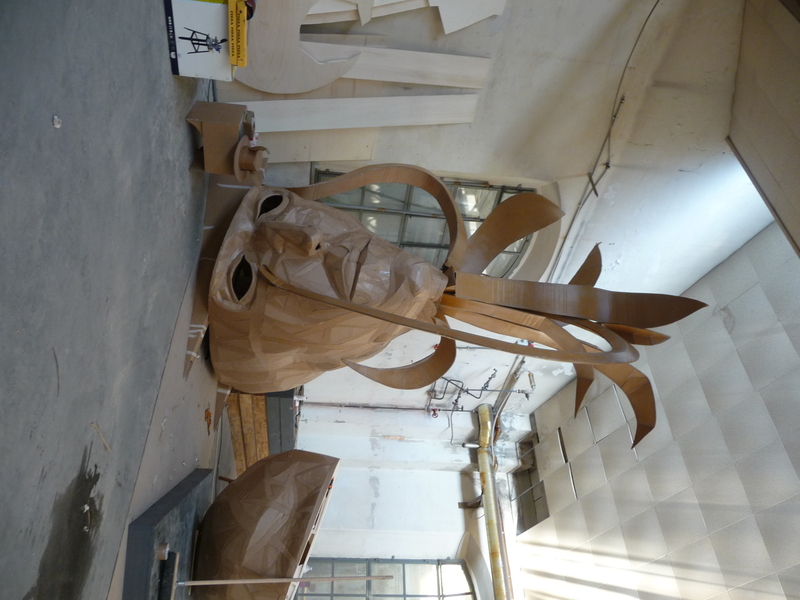 Building a sculpture that's twice as big is three times the job. 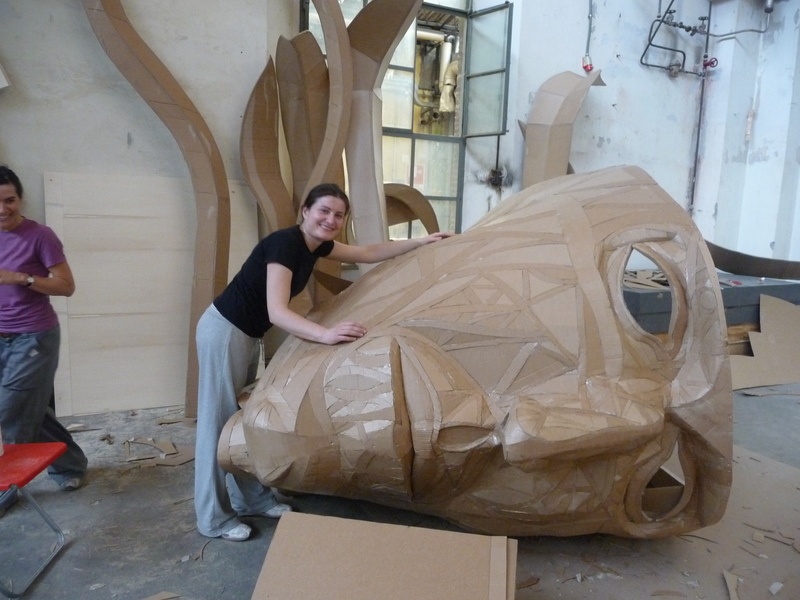 Working on the cardboard "skin"
Cinzia and Ellena. All the Assistants were so amazing, talented and a pleasure to work with. I declared them all my number one Italian wives. 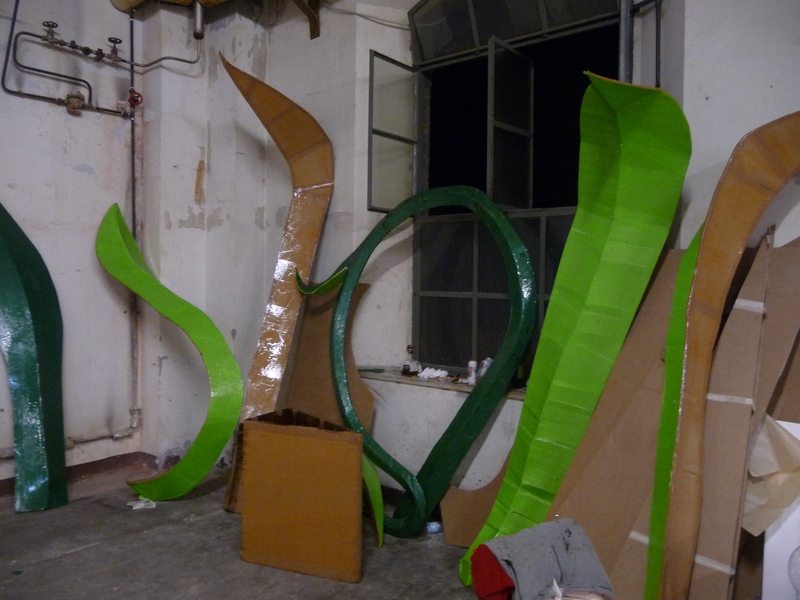 The leaves and flower elements of the sculpture proved to be very challenging From my experiments with the half scale sculpture I knew that the flat leaves used in the original model would not hold up to the elements. The leaves were made triangular in cross section which made them much stronger, but also a lot more work. The flower stalk proved to be a nightmare. 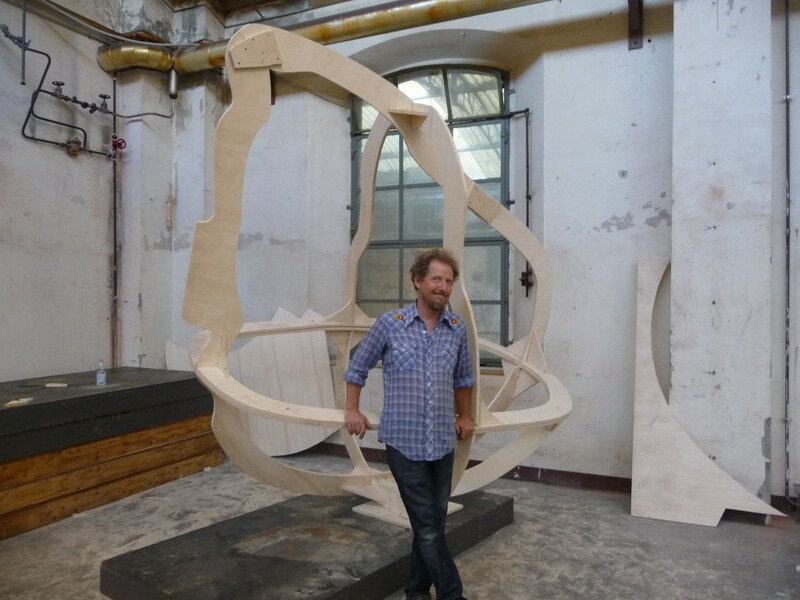 The size of this sculpture was pushing the cardboard to it's structural limits. The original design of the stalk was not strong enough to support it's own weight and it failed. 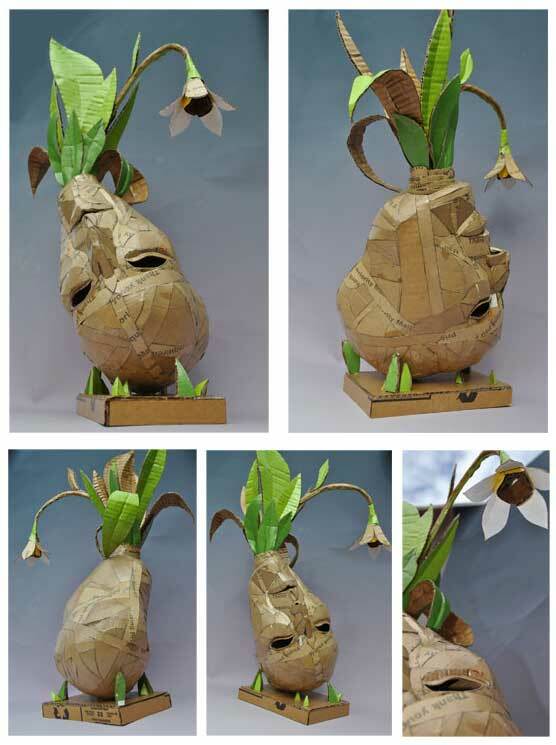 I tackled the problem first by making a new flower stalk with and internal frame of wood. This proved to be to heavy to be supported by the cardboard in the head and base. I finally settled on a solution by making the stalk out of cardboard but making it smaller and lighter and supporting it in two places. Bit by bit all the elements of the sculpture came together. Water proofing was a huge task. 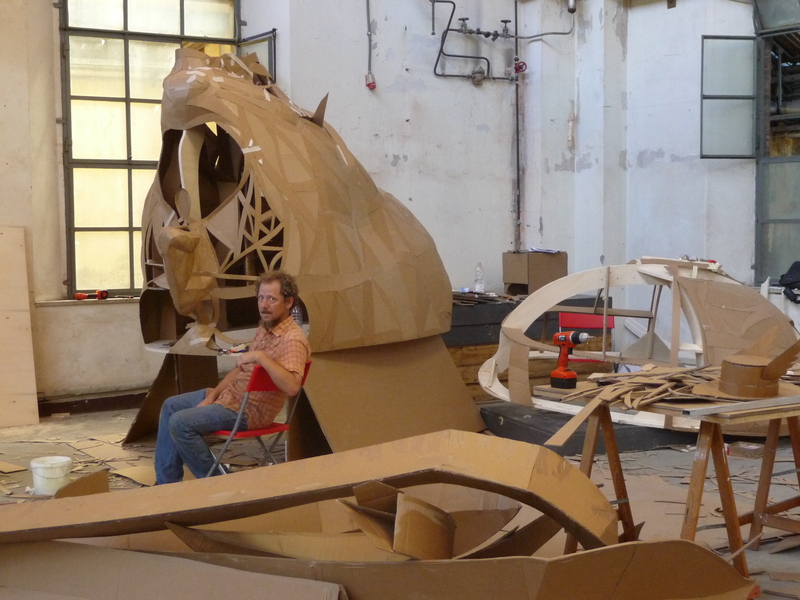 How do you make a cardboard sculpture water tight? I used polyester resin over a water-based polyurethane so that the resin would not discolor the cardboard. The resin is horrible stuff to use by the end of the two days I worked with it I was suffering neropathy in my fingers and toes. Even using a proper mask it was by far the worst most toxic job. Never again. When I make a proposal I intentionally over-reach. In this way I push myself to make more challenging and remarkable work than I might otherwise. But I also often retreat from that original position I still end up making something more exceptional but I don't kill myself. On this project there was no retreat. All in all I worked sixteen to eighteen hours a day for a month, I took one day off. I would wake up around five-thirty, ride a bike to the studio work for an hour or two get coffee and a bite when the cafes opened, work until lunch, come back work until dinner, return to the studio and work until exhaustion stopped me, usually one or two in the morning. I have never been so tired in all my life. At times when I need to dig a little deeper I thought of all the love and support my community gave to me, I thought of this once in a life chance, I thought of the handwork and money that made this possible, I thought of the city it's people and it's history, and I was able to draw strength from that. 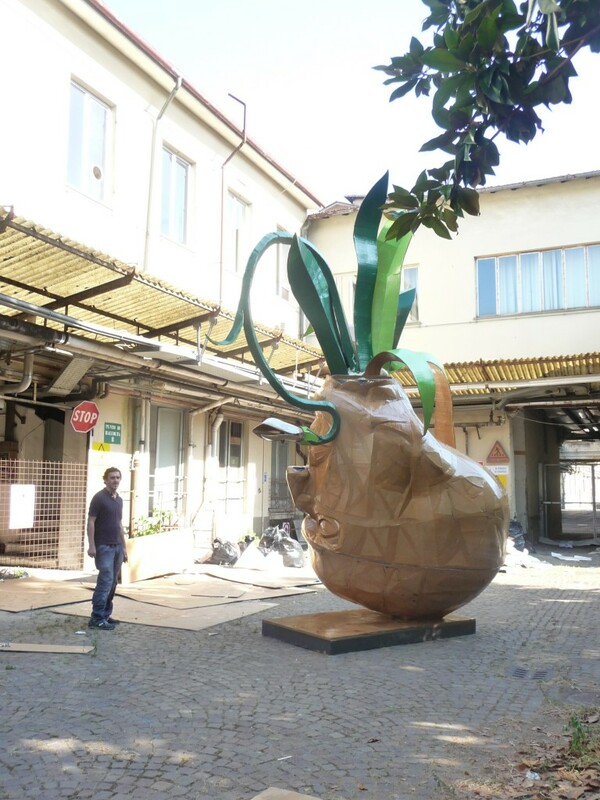 Together for the first time in the courtyard of the abandoned tobacco factory where we worked. There is a film by the great Russian director Andrey Tarkovskiy called Andrei Rublev. In it there is a young boy, the son of a bellmaker who claims he alone possesses his late fathers secrets of casting. He is tasked with a huge project which grows in cost and complexity. Through it all he confidently asserts his knowledge, making risky decisions. In the end the casting is a success and the bell rings true and clear. At this point the boy collapses to the ground, sobbing and he admits his father never told him the secret of casting a bell. 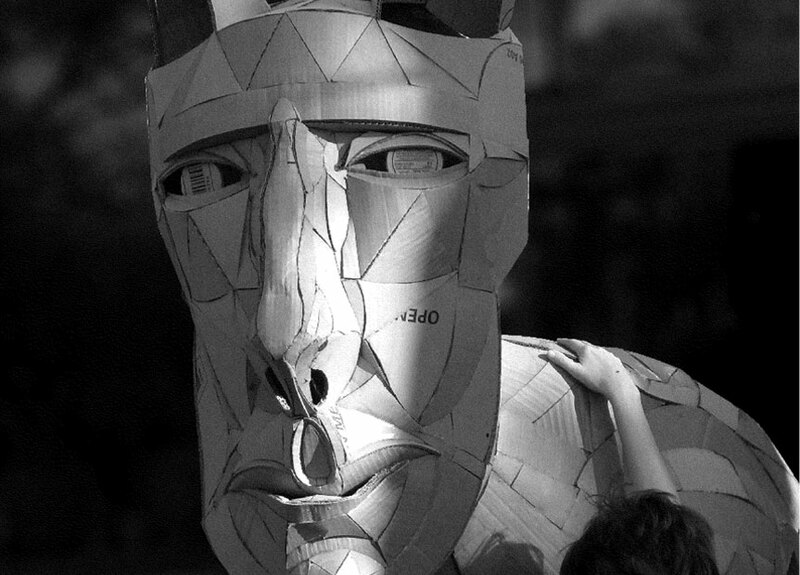 By the end of construction of my piece, Snowdrop, this is how I felt. Somehow through natural talent and faith it became a reality, I'm still not entirely sure how. At the beginning of July mine and 6 other artworks were put on display. At the end of the month It was announced that I had won the competition. I am deeply honored. This was an astonishing and transformative experience I feel that I lived Crisis and Rebirth in making this journey. 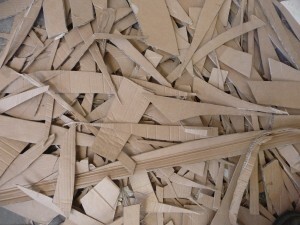 Scrap cardboard, by the end of the project I went through four gallons of glue and 300 snap blades for the box-cutter.